This trip was different than many others that I’ve taken, for several reasons. Firstly, it took place over Thanksgiving weekend, so it was a three-night adventure instead of a more typical weekend jaunt. Secondly, and more importantly, I met up with my friend Lucas (with whom I also explored Hong Kong back in March) and his friend from college, Mel, for the last hurrah of the backpacking trip they were making through Thailand. Finally, this was a beach vacation with no purpose other than playing at the beach. It has been a very long time since I’ve had one of those vacations, and I have all the sunburns to prove it! Lucas, Mel, and I chose to stay in Krabi Town so that we’d have quick access to an airport as well as a good jump-off point for a variety of water-related activities. We stayed at Pak-Up Hostel, met a ton of really cool people, and thoroughly enjoyed the experience. On our first night in Krabi, we walked through the night market, which contained the usual number of food stalls and stands selling other random items. My favorite, however, was a mobile library! It was pouring when we got back to Krabi, but tropical storms usually clear in a couple hours. 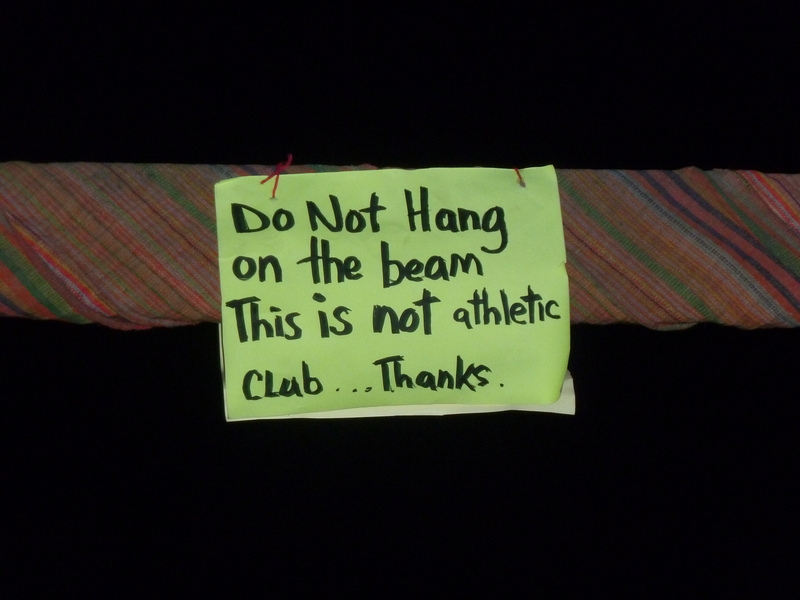 This was no exception, and we took advantage of the blue skies to head to Railay Beach, known for rock climbing. As it had just rained, we didn’t see any climbers out and about, but we did see a truly stunning place. Our water taxi ride to Railay gave us these views . . . Despite getting caught in another torrential, terrifying storm on our water taxi back to Krabi, we headed to Aonang Beach the next morning to hire a longtail boat to take us island hopping. It took about an hour to get to the Hong Islands, and we stopped in three places to just enjoy our time on the beach. Our favorite by far was Hong Lagoon, our last stop. Lucas and Mel dove gracefully off the boat; I belly flopped painfully a couple times and then opted just to jump. We could have visited a fourth island, but hunger got the better of us, so we chose to head back to Aonang to eat. We spent about an hour relaxing in some rented beach chairs before making our way back to Pak-Up for a much-needed shower. This weekend in Krabi was absolutely amazing. The ocean is my happy place and I haven’t been to the ocean in a very long time. Maybe it was the 10-bed dorm room in the hostel, maybe it was meeting up with friends, or maybe it was my makeup case remaining untouched for the entirety of the trip, but I have never felt as free as I did over the past few days. That feeling was entirely unexpected, but I’m glad for it. Sunburn and all, I’d do it again in heartbeat. Thanks to Singapore’s elections on Friday, we had a three-day weekend! I hadn’t been out of Singapore since arriving at the end of July, which means I’d been in the same city for about seven weeks. When’s the last time that happened? The haze coming up to Singapore from Indonesia meant, and continues to mean, that we haven’t seen the sun in a couple weeks (and can hardly see clearly at all, for that matter), the kids have been cooped up inside during break times in a space not large enough to accommodate all of them, the air constantly smells like something’s burning (because it is . . . thanks, Indonesian palm oil companies . . .), and just breathing has become a chore. All in all, a great weekend to get out of Singapore. 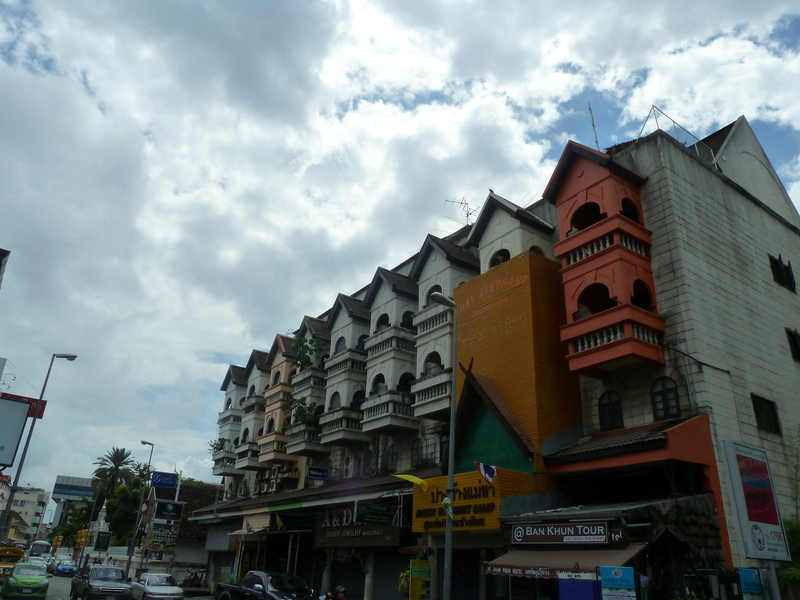 Before I left Malaysia, I knew I wanted to visit Chiang Mai. 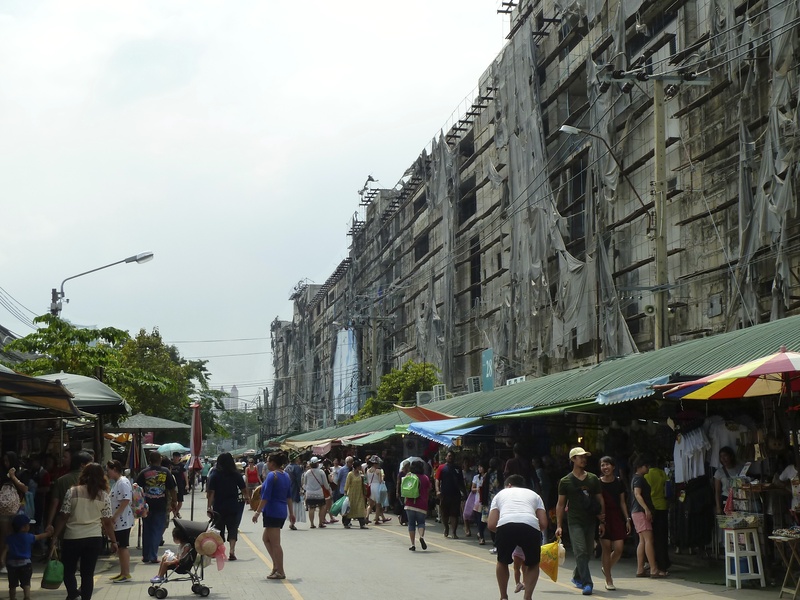 Mitch and I had a whirlwind of a weekend in Bangkok about a year ago (here is the blog post about that) and I haven’t made it back to Thailand since. This weekend’s visit to Chiang Mai, because of the day off on Friday, gave me ample time to explore not only the city, but also an elephant reserve nearby. The 400 photos I took on this trip (no kidding) basically fall into two categories: temples and elephants. I have done my best to sift through the photos and I’ve tried really hard not to saturate this blog post with too many images of the same thing. Enjoy! And if you want more pictures, let me know. I have them. Firstly, orientation. 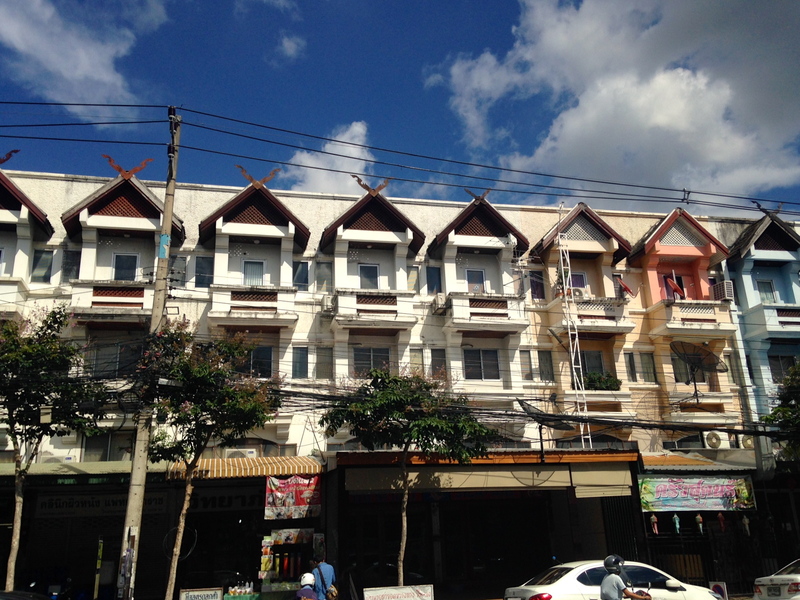 Chiang Mai is located in northern Thailand, which means there was sun, clean air, and mountains. 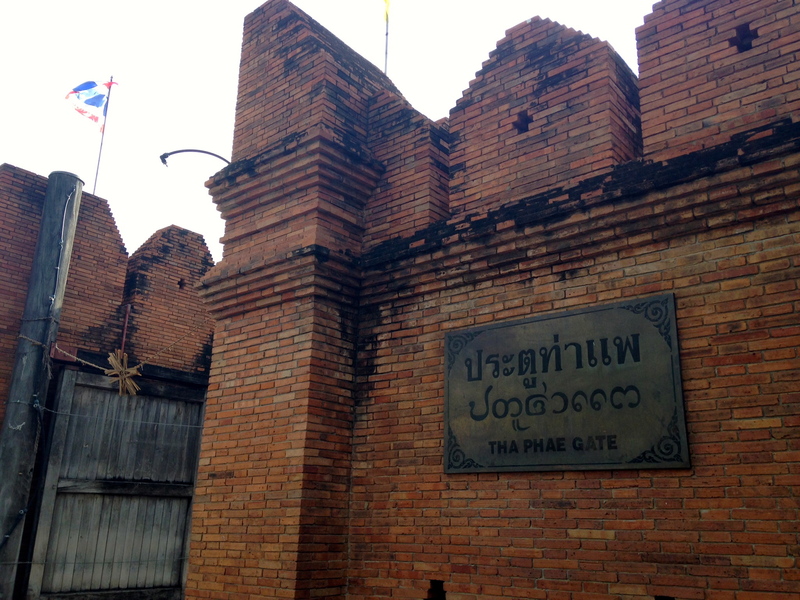 The old city is surrounded by a moat (Chiang Mai dates to the 12th century) and there’s access through a couple gates. 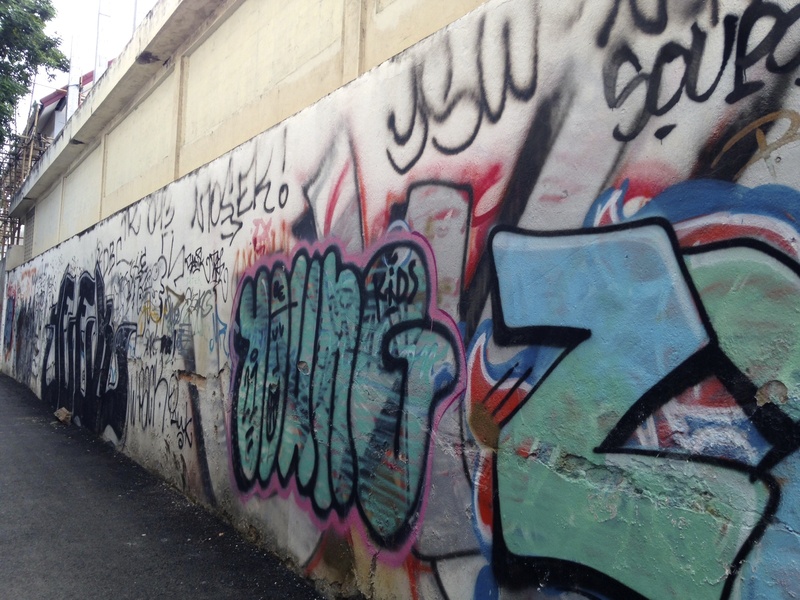 I also spotted a few examples of colorful graffiti. It amuses me that there are words presumably written in English, but I still can’t read them. This is also the case with graffiti that I’ve seen and photographed in English-speaking countries, so I suppose it isn’t a surprise. 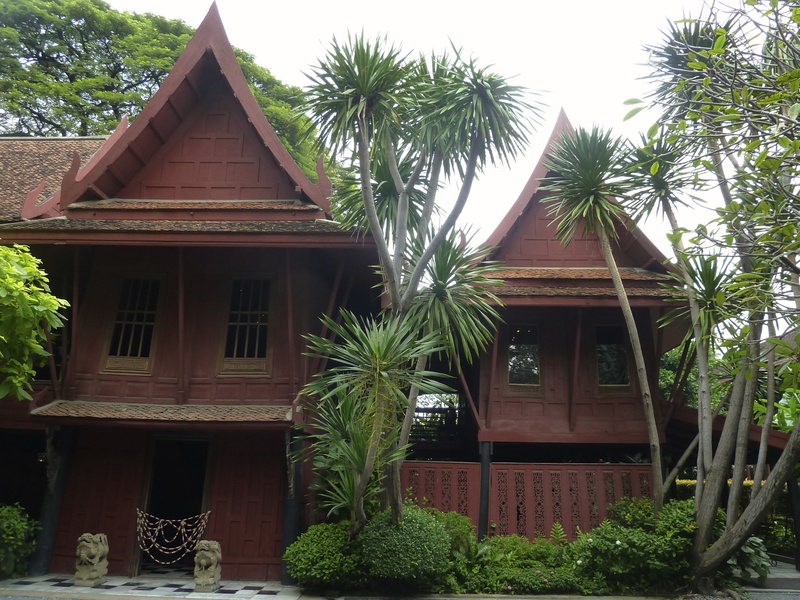 After dropping my trusty purple duffel bag at the hotel (since I was traveling alone, I figured I’d treat myself), my first stop was just down the street to the Lanna Folklife Museum, where I learned about the Lanna kingdom of ancient Thailand and their distinct culture. It took me about an hour to go through the whole thing, and I highly recommend it for a historical overview, especially if you’re unfamiliar with Buddhism. Just across the street is the Three Kings Monument, which I could see from my hotel. 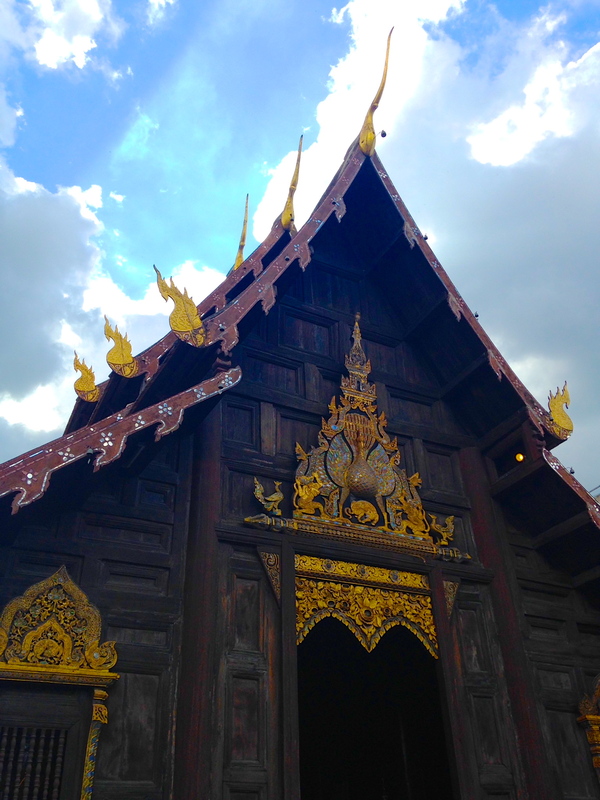 After getting my bearings (and getting slightly lost on the way) I began my tour of Chiang Mai’s temples. For the most part, I have no idea which of the dozens of temples I saw. It doesn’t matter because they’re all just names to me. 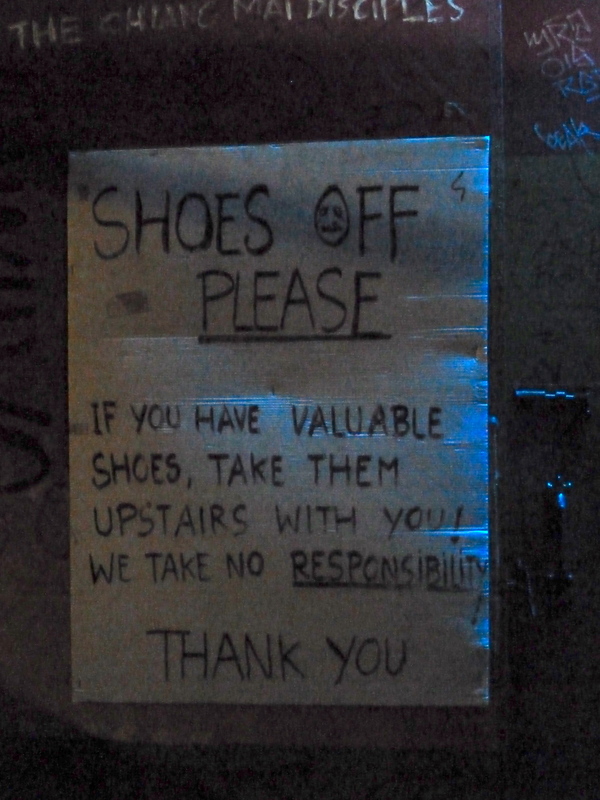 I went inside many of them, leaving my shoes with the others at the entrance. 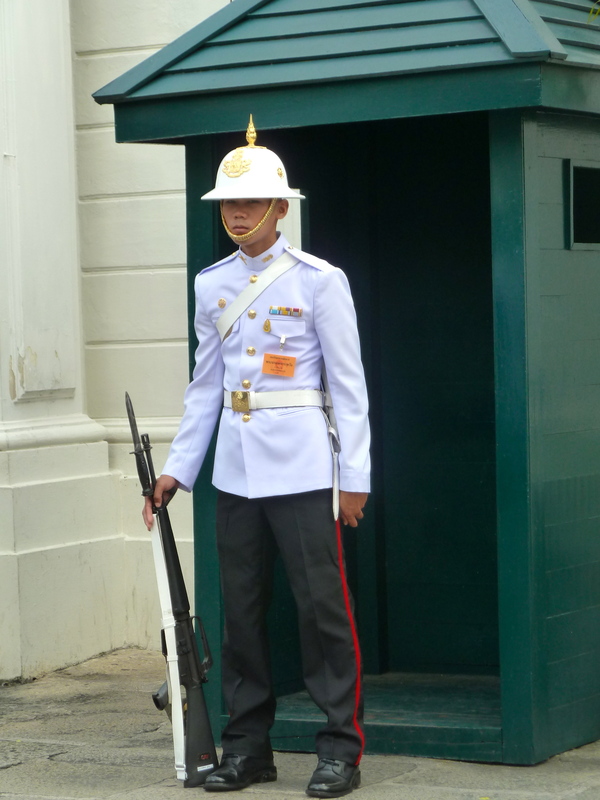 Thailand is understandably strict about respectful attire when entering temples (explicit signs indicate in many languages and many pictures indicate what is and is not acceptable). There’s often nothing to borrow from friendly devotees at the entrance because the temples are simply open to the public for prayer. I have a few dresses and skirts that cover my knees; I keep a light scarf for my shoulders in my bag at all times when traveling in Asia. You never know when it will come in handy! 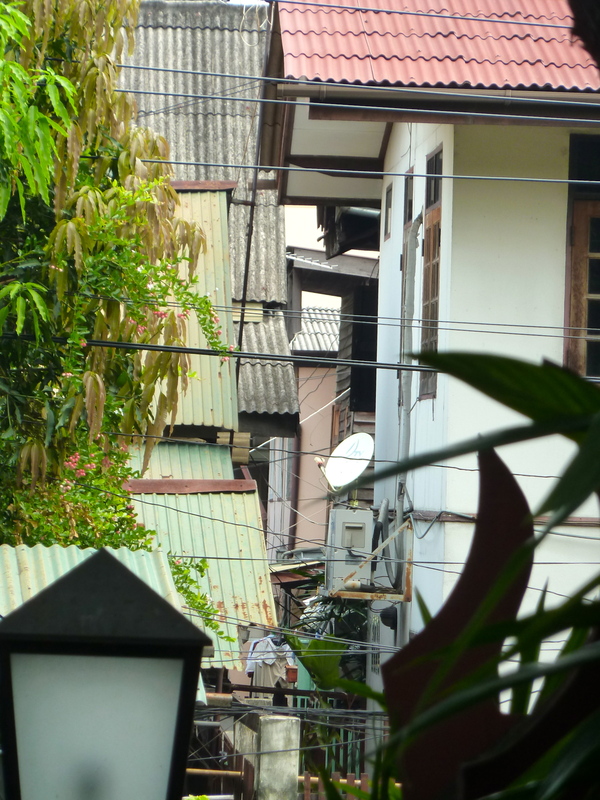 The gallery of photos below comes from two days of walking through Chiang Mai and popping in and out of temples. I did a lot more of this than I think I would have if I were traveling with a buddy. But since I wasn’t, I did a lot of meandering (read: getting lost) and meandering means finding temples. Beautiful temple that came out of no where when I was lost. 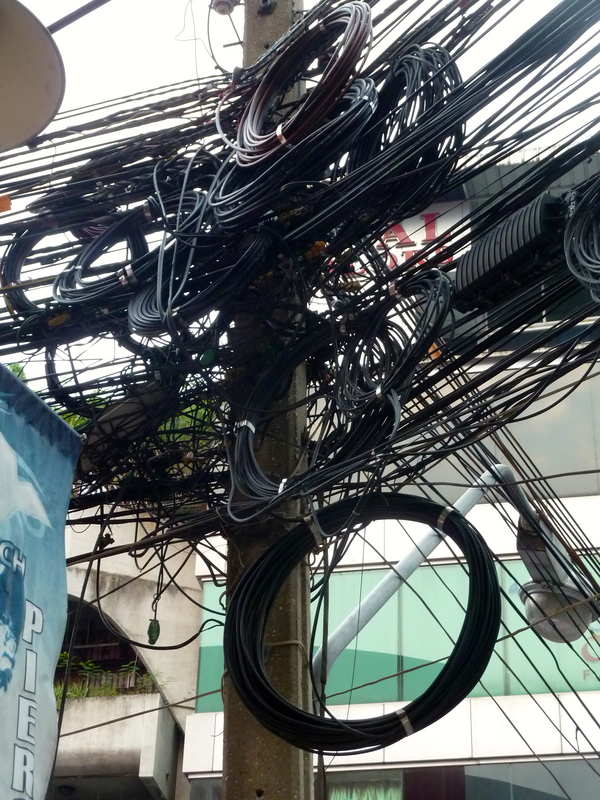 The style is very Chinese, but the sign is in Thai. 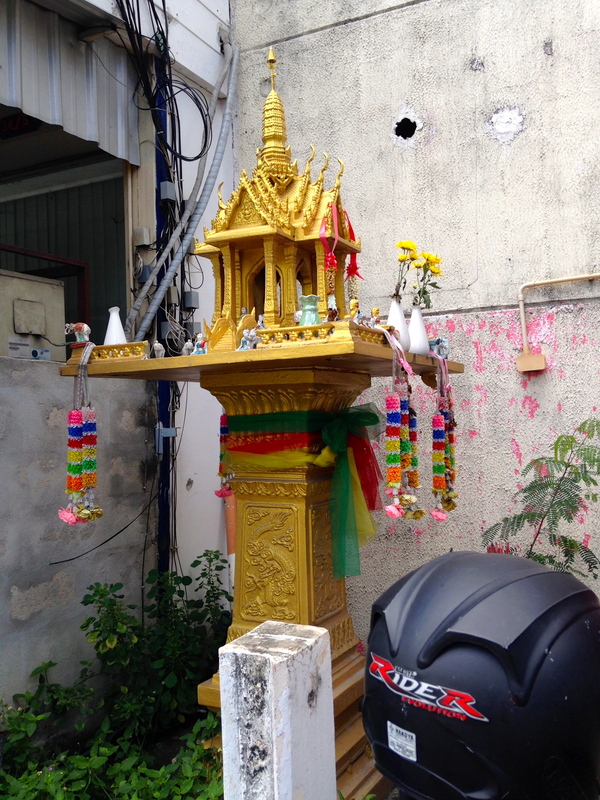 All temples have boxes asking for donations. 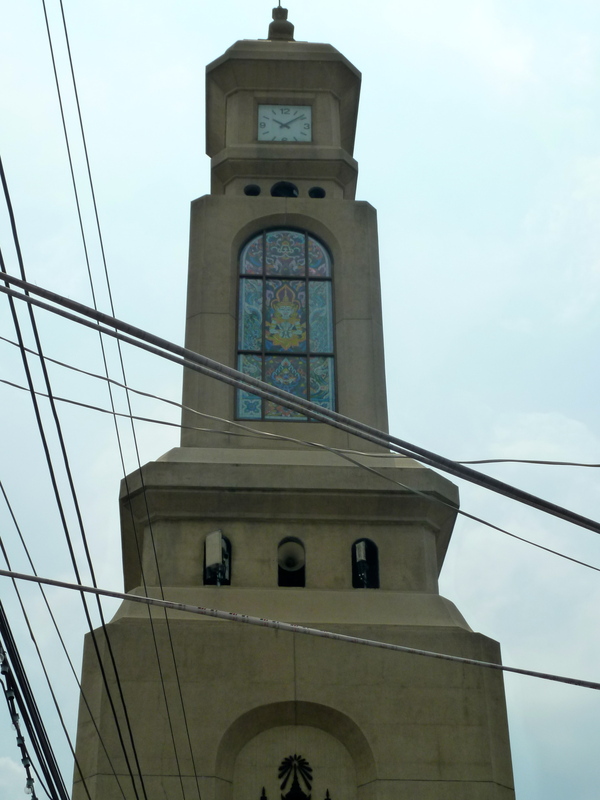 Often, the specific cause is listed on the box – some temples have MANY boxes. Just a quick comment on the temple in the photos below. I’ve seen a lot of temples in my travels, but never one made of wood. 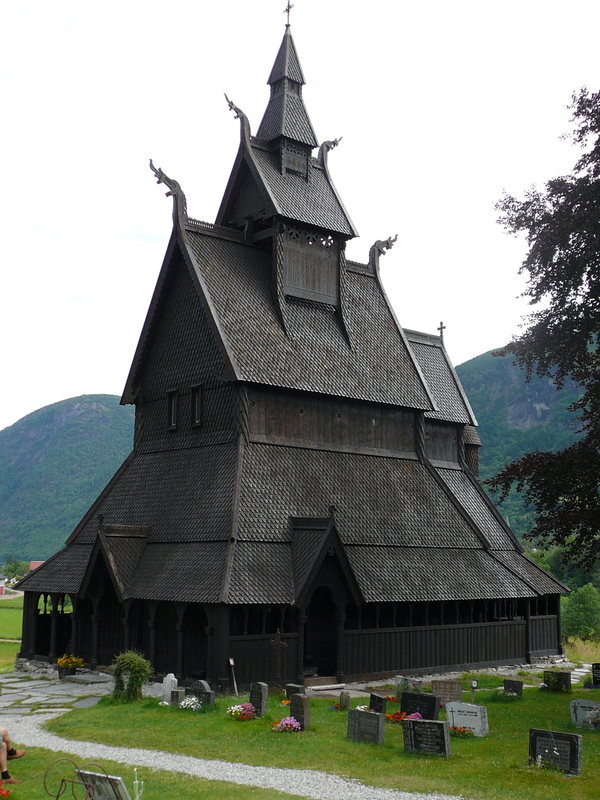 It honestly reminded me more of Norway’s stave churches than of a Buddhist temple. Not a temple! 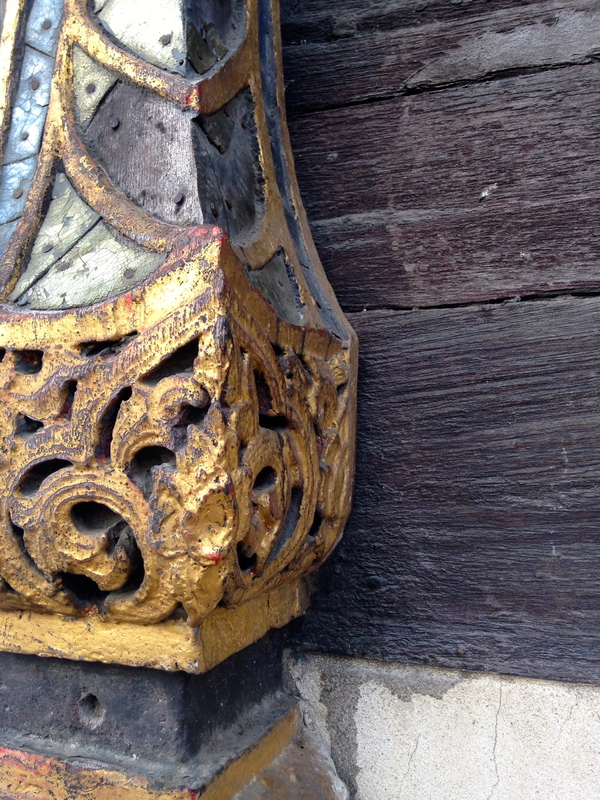 A stave church! 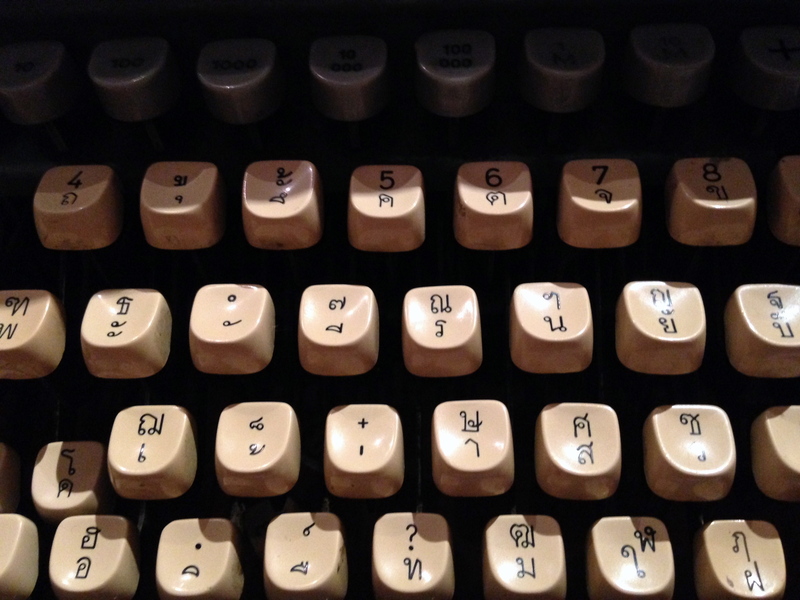 I tend to write a lot when I spend time alone, and time alone while traveling is no exception. I also pause for more tea and coffee breaks than I would otherwise, perhaps because I spend less time lingering over meals. 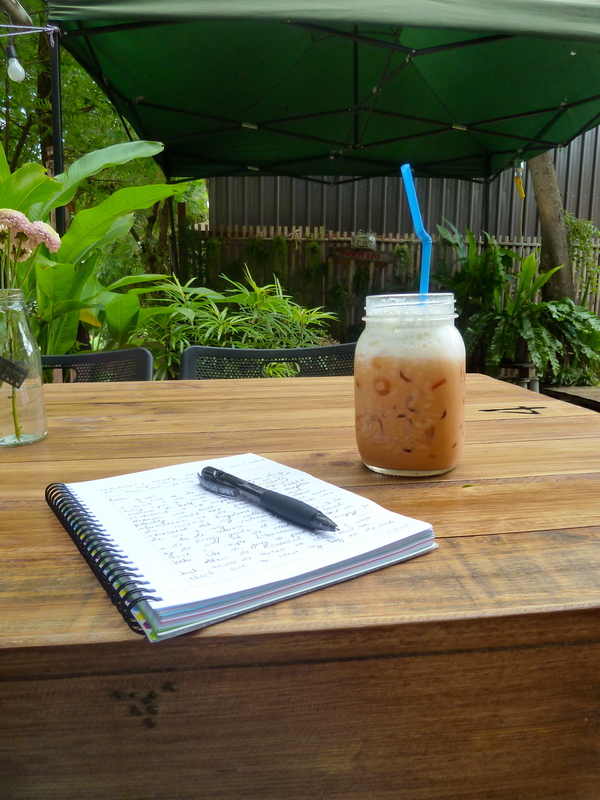 In Chiang Mai, though, my break beverage alternated between iced coffee and Thai iced tea, which is quite possibly the most delicious of beverages. Based on a recommendation from a friend, I chose Elephant Nature Park for Saturday’s all-day trip to visit elephants. The park is a reserve for 70+ elephants who range in age from babies to about 80 years old. Some of the elephants were brought to the park when they got too old to work or when industries using them were shut down, but most of them were rescued from logging operations, circuses, and street performances. Our guide, Pur, told us about each of the elephants that we met. She was incredibly knowledgeable about each elephant’s story as well as how its current family group formed. It is amazing how elephants, much like people, form families. While most of the day was devoted to watching them interact, we got to feed and bathe the elephants, too! Pur allowed us to pet some of the gentle giants but kept us away from the ones the she called “not nice.” Every so often, the elephants would get upset or agitated and the mahouts (handlers) would shout at the visitors to get out of the way. Over the course of the day, Pur also told us about the various injuries and abuses that many have endured. More than a few elephants were blind and had misshaped or deformed limbs from stepping on landmines. There was also a gallery at the reserve devoted to photos of elephants before and after surgery and rehabilitation. Most of an elephant’s day is spent eating; each eats about 300 kilos of food! There were baby elephants, too! Elephants walk in lines just like in all the movies! In addition to elephants, Elephant Nature Park is also home to over 400 dogs and cats, many of which are up for adoption. Most of the dogs, at least, were strays in Bangkok once upon a time. They followed the elephants around as they pleased and were constantly looking for love from visitors. The park itself is staffed by about 200 people; this week, about 70 of those were volunteers. It was a wonderful day, complete with transit to and from the park and a delicious vegetarian lunch. I can’t say enough good things about supporting this organization. And then there’s the fact that Elephant Nature Park is simply beautiful. It was a marvelous change of pace (and air quality) from hazy Singapore. One of my favorite parts of traveling is meeting people. I’m still in touch with someone Mitch and I met in Langkawi about a year ago. 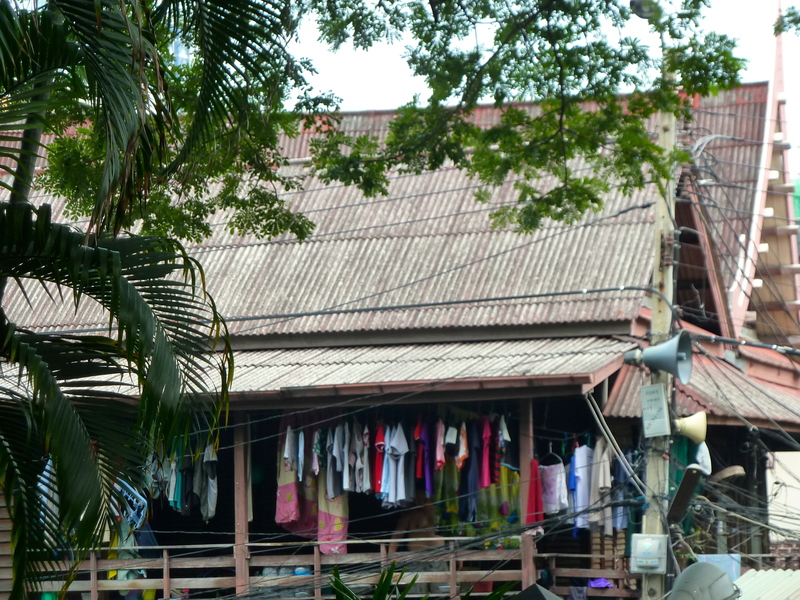 That was our very first Southeast Asian trip! People tend to meet through shared experiences, and Elephant Nature Park was no exception. Two girls and I made plans to meet up to visit the Night Bazar and go for dinner. We ate at a food court, which was cheap and delicious. While there, I couldn’t help but notice the sign below, which reminded me that the world has a long way to go. 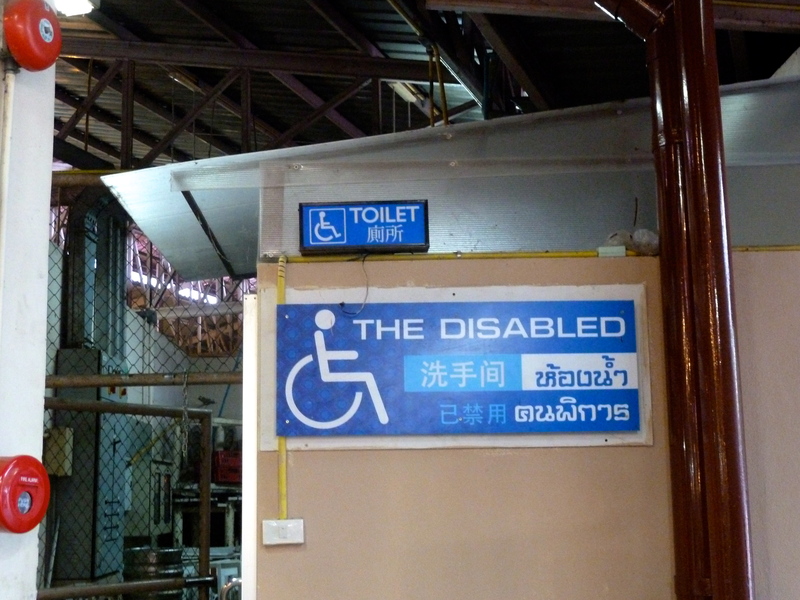 Travellers with disabilities will most certainly encounter difficulties when visiting Asia. Upside: They have recognized that people in wheelchairs go out in public. Downside: Sigh. We’re getting there. 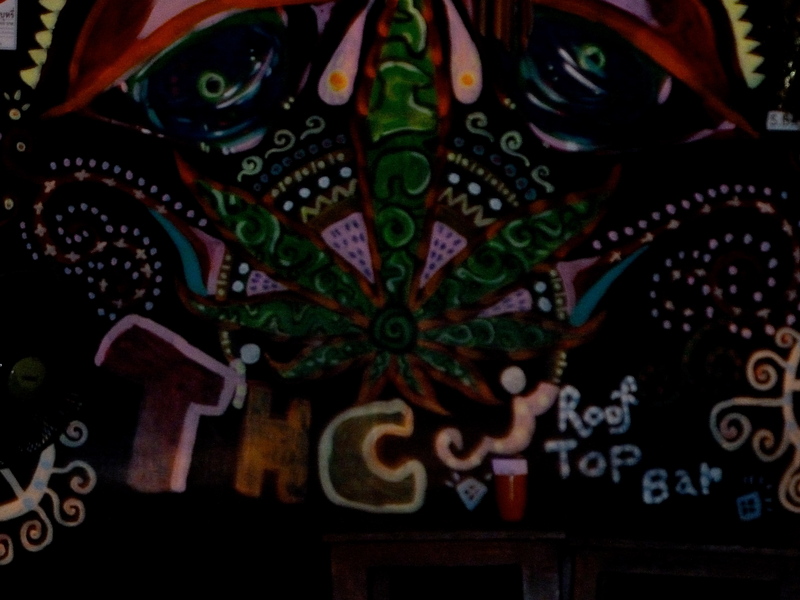 After the Night Bazar, when we were done looking through the regular tourist trap kitsch that feature at many markets, we went out to a very chill rooftop bar with a rasta vibe. I wasn’t exactly sure what that meant when I heard about it, but the decor clarified very succinctly. Please don’t be surprised at the name. Asia doesn’t do subtlety very well. 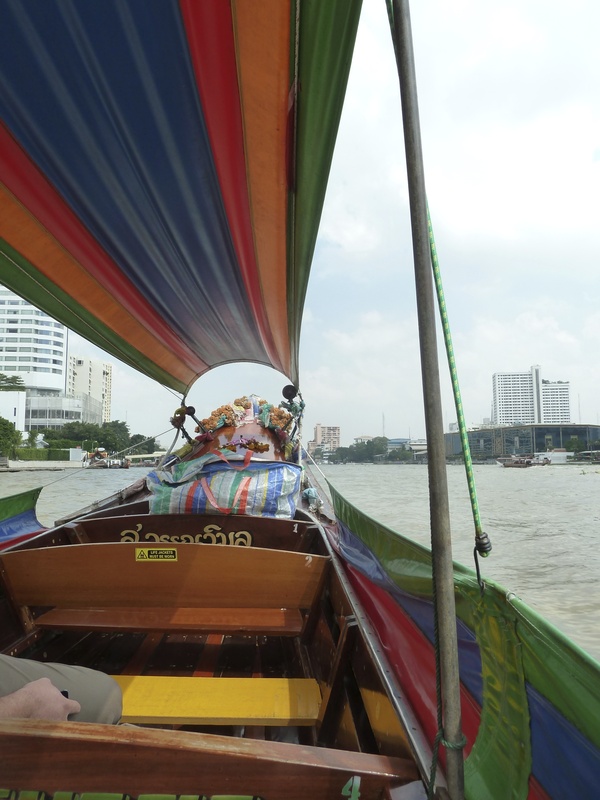 The highlight of Sunday, my last day in Chiang Mai, was a river cruise along the Ping River. It was a dreary day but the wonderful people of the Scorpion Tailed River Cruise (basically the Sam Patch of Chiang Mai!) were very gracious and gave me a private tour! The ancient Thai man who acted as the tour guide is also, I suspect, the owner of the entire operation. Part of the tour included time off the boat to taste tropical fruits and smell local herbs in his garden. 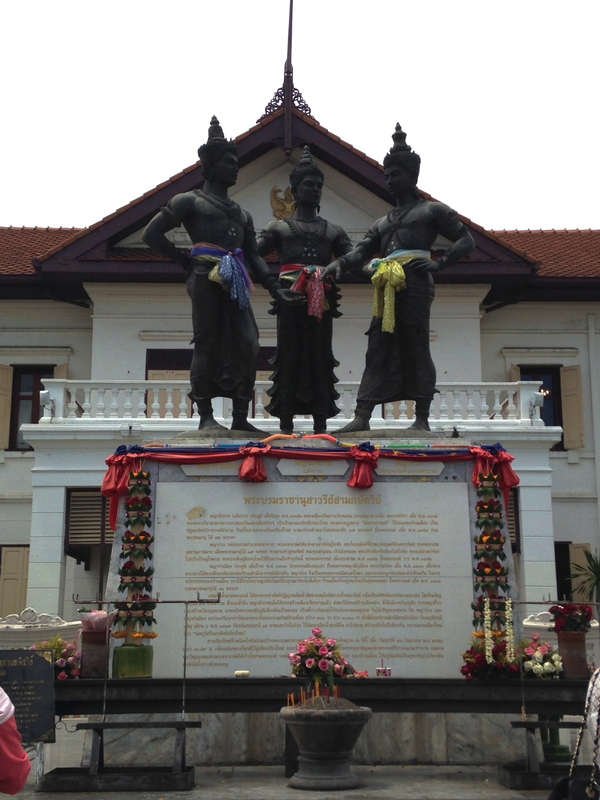 The experience was expensive by Thai standards but a really nice way to learn about Chiang Mai’s history from (literally) a very different angle. River travel used to be the way people got around. 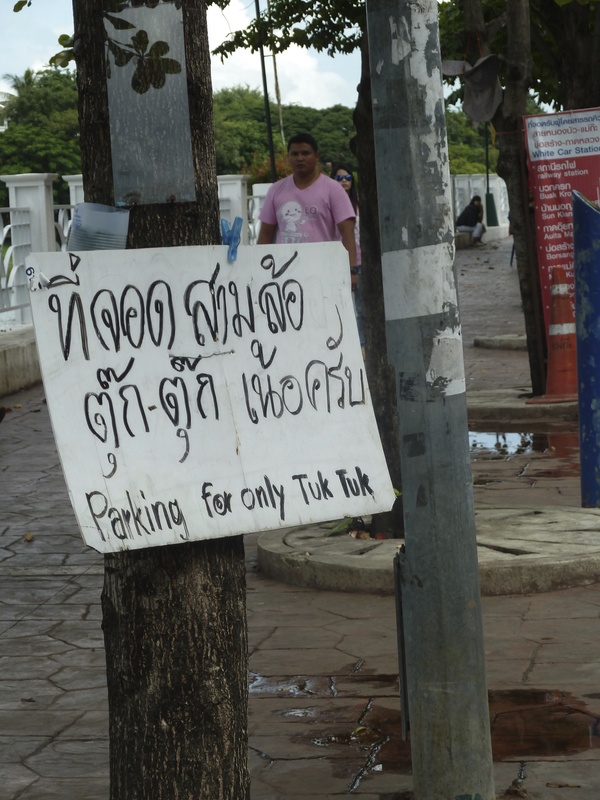 That has changed, but there are no metered taxis in Chiang Mai. 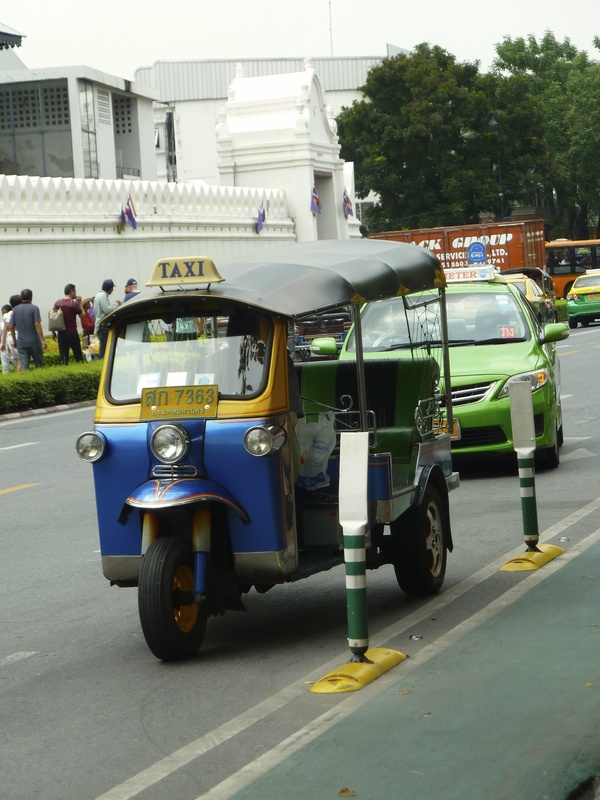 The best way to get from point A to point B without a private car is by a red sorng-tau-oo, basically a shared taxi, or tuk tuk, a private taxi. 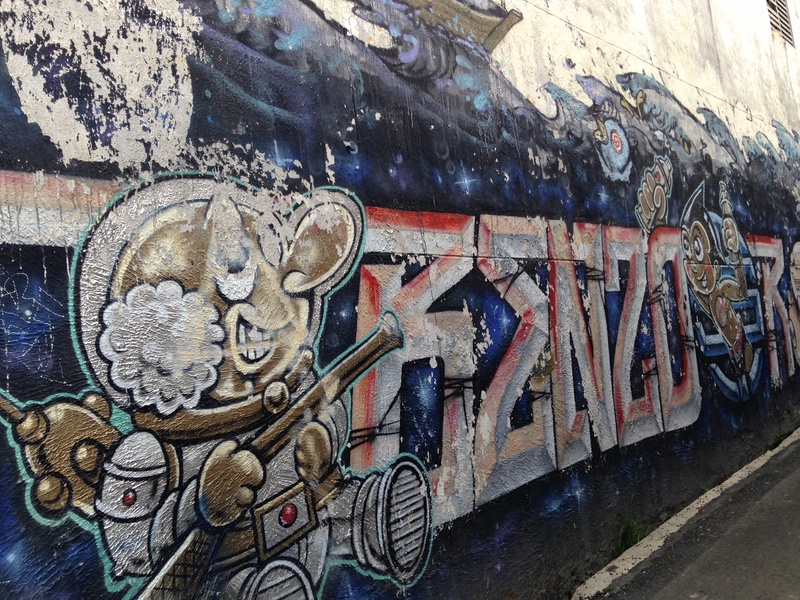 Thanks, Chiang Mai! Thailand, see you again in a month!